It’s an art. While I think I may do a tutorial for this as well, I have watched a few youtube brief how-to’s on the subject, and wish to share them with you. I can not stress enough the importance of good miking. Many of you have asked me about the settings used in the past. I do understand now that it was almost irrelevant. What was relevant instead, was “where and how did you put your microphone Fil, and what the EQ curves?”. These are just some of them. There’s more. Feel free to add videos or sources of information you are aware of and think can contribute to our learning! LOL…Yeah, right. 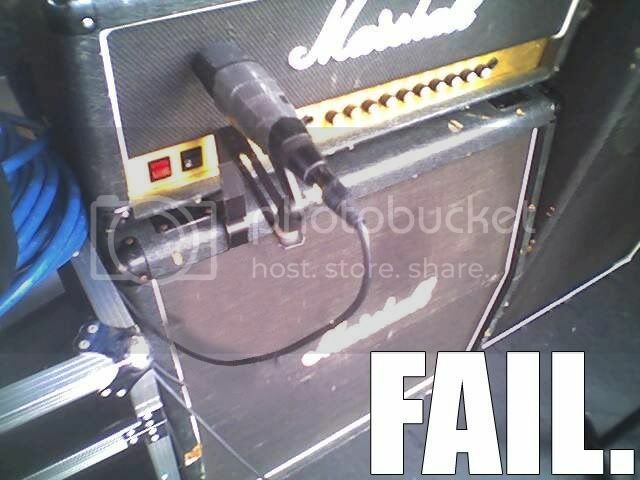 That mic should place on the back of the amp, right? This has some relevance to recording. Do you guys find it of as much interest as I do? John Paul Jones said that the only reason Jimmy Page’s guitars sounded great was because Page was an expert on micing. Thanks alot Phil!:). Micplacement is harder than I tought first. Depends if you want preampgain or ac/dc overdrive. I recently bought a sm57 and its pretty hard to find a good spott to place the mic. wow this is deep, i never thought that this much work goes into creating the right tone! i just recently got GR4 mobile but this hasnt got any mic positioning on it i need to buy the full version 😛 Fil d oyou think GR4 full has the capability to get the right tone? To my ears it’s ‘two mic’s good’! Well it was the same for me. For years, I’ve been going by chance. Not anymore, though I am just beginning to understand and scratch the surface. There is a LOT that we can experiment with and Rob, it is SO much fun. Especially for us “4×12″ cabinet owners (but very similar with 2×12), there is a lot of movement that can be captured inside the cabinet. AND the room. Just weeks ago I used to put the microphones right up the grill. Not anymore. Really Rob, there is more “tone” in microphone placement than amp settings! Re: my first comment. After a few listens, I really can’t see how you can capture all the colour of the speaker with one mic? Both centre and edge are not right, midway and edge angled is (to me) much fuller, but still depleted. It’s fascinating how different the same riff can sound when all other aspects are constant. I love the condensor mic with the Vox. It did however confirm something I’ve always felt, it just doesn’t where you place the mic for country, lol. Nothing like being contraversial is there!